The Keep Duncanville Beautiful Board will not meet in July and August. For more information: 972-780-5072. The July 5, 2016 City Council Meeting has been CANCELLED. 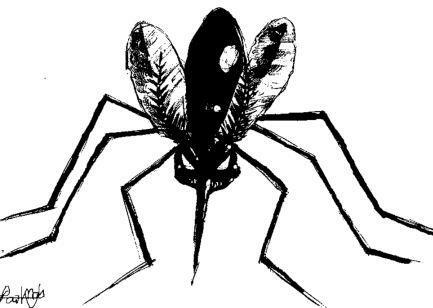 In our continued effort against the West Nile Virus, the City of Duncanville has authorized the Dallas County Health and Human Services (DCHHS) to conduct ground spraying against mosquitoes in the Jewel Lane area on Thursday, June 23, Friday, June 24, and Sunday, June 26, 2016. Spraying will be conducted from 9 p.m. until 5 a.m., weather permitting. A positive mosquito trap pool for the West Nile Virus was reported by the County in this area. See below for a link to a map outlining the area to be sprayed. Residents living near this area are encouraged to remain indoors and bring their pets inside during spraying. City Staff will continue to monitor areas where mosquito breeding is mostly like to occur. To prevent the spread of mosquitos, residents should remove all areas of standing water and report all pools that are not well maintained and abandoned homes where mosquitos are likely to breed to the Health and Code Enforcement Department. Everyone should continue to protect themselves against the West Nile Virus by using insect repellent containing DEET. For more information on the scheduled ground mosquito spraying in Duncanville, contact the City’s Health Inspector at 972-740-1163 or visit www.duncanville.com/westnile. To elect the Mayor for a two year term, one Councilmember from District 2 for a two year term, and one Councilmember from District 4 for a two year term. The candidate for each such office receiving a majority of all votes cast for all candidates for such office shall be elected to serve such term or until his or her successor is duly elected and qualified. In the event any candidate for any one of said offices fails to receive a majority of all votes cast for all candidate for such office, a run-off election shall be called. Fairmeadows Elementary School, 101 E. Fairmeadows Drive, Duncanville, Texas. The polls shall be open from 7:00 a.m. until 7:00 p.m.
Saturday, March 19, 10 a.m.- 12 p.m. Available at all Home Depot stores in North Texas. Dispose of household chemicals the responsible way. One Day Only, Rain or Shine!! A Town Hall meeting is scheduled for Tuesday, October 13th from 6:00 p.m. – 9:00 p.m. It will be held at Trinity Nazarene Church, 611 N. Cedar Ridge Dr. in Duncanville, Texas. Subjects for discussion: FY 2016 Budget / Water Rate Increases. The Certificate of Achievement for Excellence in Financial Reporting has been awarded to the City of Duncanville by the Government Finance Officers Association of the United States and Canada (GFOA) for its Comprehensive Annual Financial Report (CAFR).